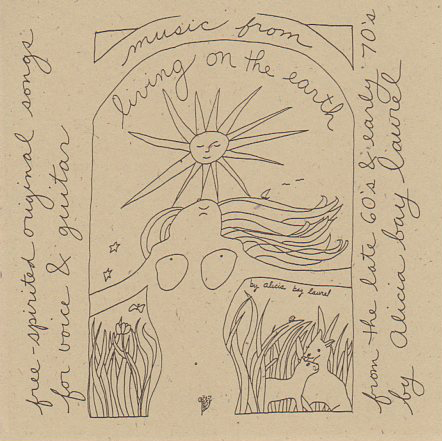 Posted on July 3, 2007 by Alicia Bay Laurel	in Blog and tagged travel diaries. 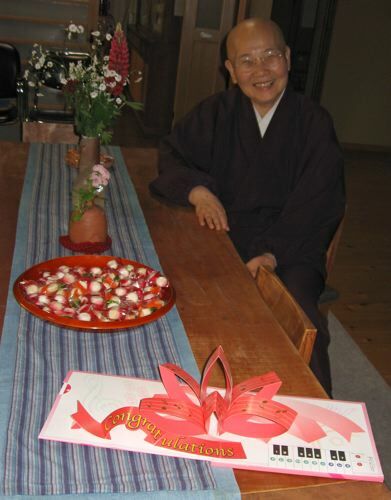 At 5 AM on May 14, 2007, my 58th birthday, I sat in Fumon-ji Temple in Ako City, Japan, and listened to Eiyu Fujimoto, a Soto sect Zen Buddhist nun and leader of the temple, chant the Lotus Sutra, punctuating her rich vocalizations with beats on a wooden drum and an occasional chiming of the temple’s big bowl gong. About twenty people attended the early morning service, which took place in both the large and the smaller halls of the temple. 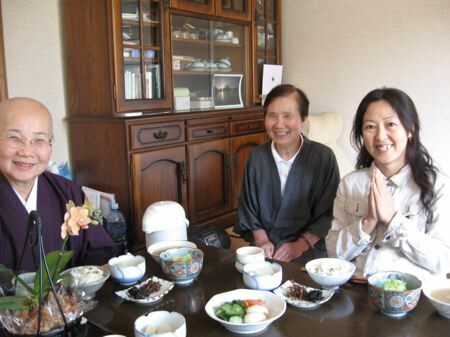 After Eiyu chanted, she invited Sachiho and me each to sing a song in the temple. Sachiho sang a lovely song with her lyre. 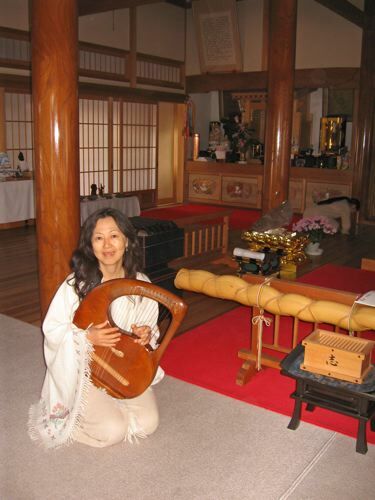 There was no guitar to borrow today, so I sang, a capella, my meditation song “Hang Out and Breathe.” It felt wonderful to let my voice resonate in the big wooden hall. 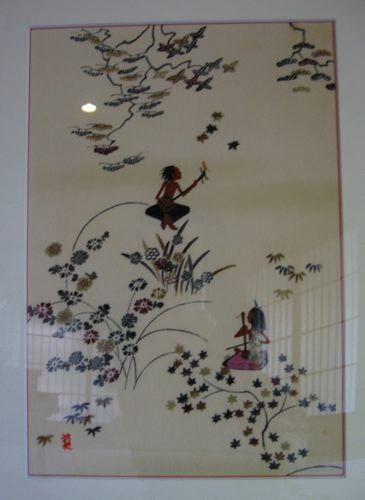 The painting is representative of Ryu’s work, delicate, playful and colorful images of people in nature; these two are playing stringed instruments, one plucked and one bowed. 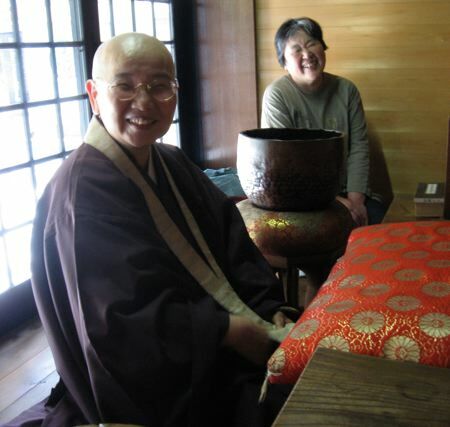 Ryu invited us to come to Mau Chai, a nearby teahouse and gift shop in Ako City, where he was having an art show in the upstairs room. 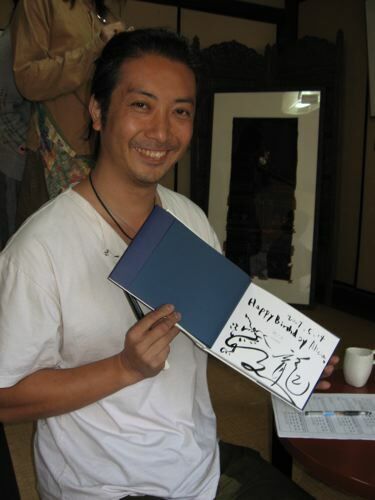 Sachiho and I went over there, and I tried to buy a book of Ryu’s paintings to take home with me. 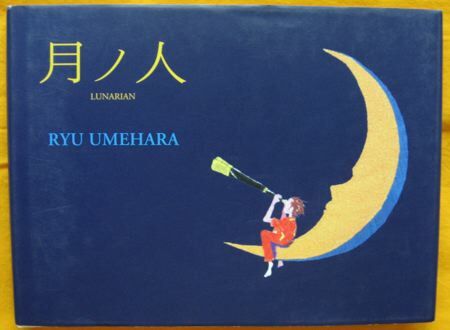 However, Ryu insisted on giving it to me as a birthday gift! He signed it for me, with a drawing of a dragon, which is the meaning of his name. 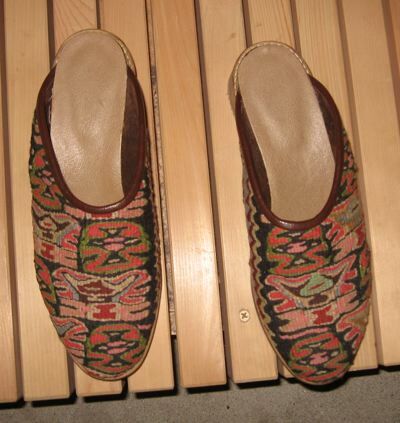 So I bought myself another birthday gift downstairs – a pair of Italian shoes with Turkish wool kilim uppers. Sachiho approved, saying that usually ethnic shoes are uncomfortable, but the Italian soles would be comfortable and last a long time. They ARE comfortable. 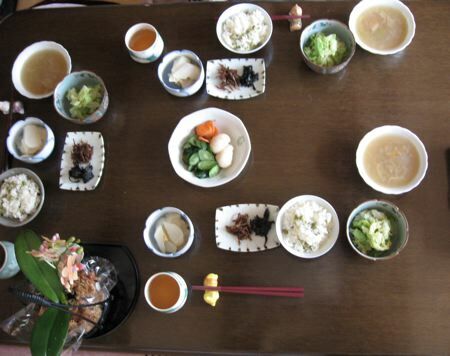 …with miso soup, pickles, rice, tofu, land and sea vegetables. 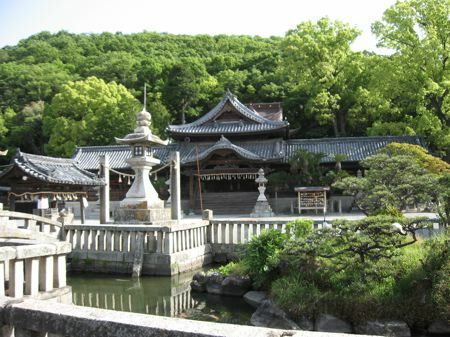 Afterwards, Eiyu brought out her photograph albums and showed us photos of a Tara Dance ritual held at Fumon-ji Temple. Eiyu herself had danced in the ritual, looking elegant in a sari. In the Tara Dance, a mandala of dancers in many colors of saris depicts the 21 Praises of the goddess Tara. I danced in the very first of these ritual dances, on Maui in the 1980’s, because the choreographer, Prema Dasara, a classically trained Odissi dancer, was a personal friend. 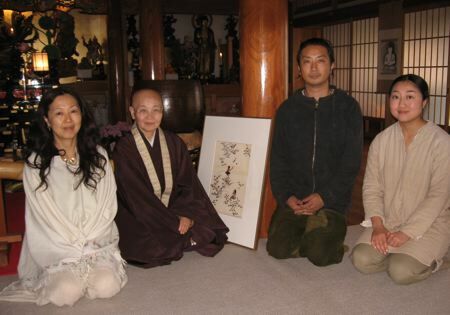 She had been asked to create this ritual by the Tibetan Buddhist master Tai Situ Rinpoche. 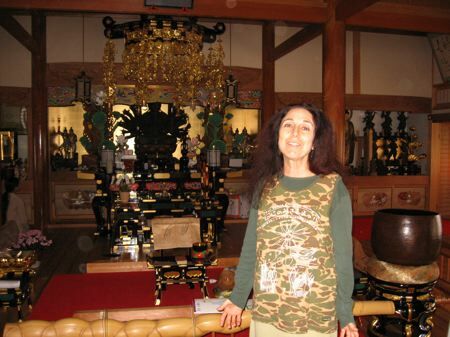 Since the mid-1980s, Prema has been traveling internationally teaching Tara dance, although the Fumon-ji ritual was organized by one of her students. Afterward, Eiyu gave me a birthday card with a playable keyboard that would also play Happy Birthday. She also gave me and Sachiho each a set of little bells to ring above our heads whenever we were troubled by negative thoughts. I keep mine handy! 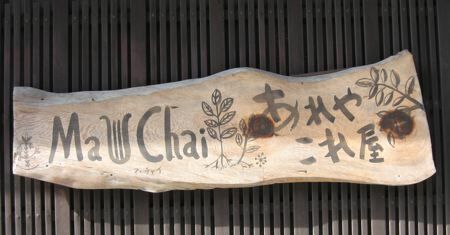 Sachiho borrowed Eiyu’s car, and we went off to bathe at an on-sen (hot springs bathhouse). 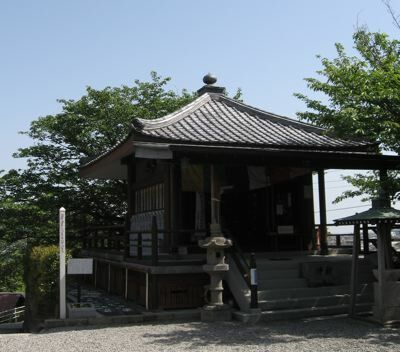 We passed this large and beautiful Shinto shrine, which is just down the hill from Fumon-ji Temple. 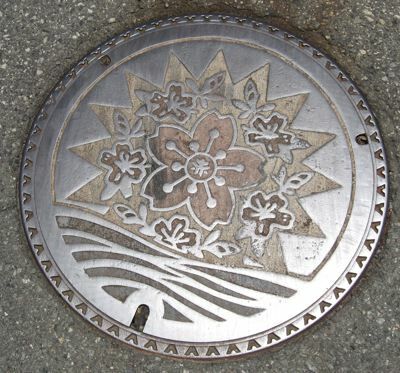 In front of the on-sen, I found another lovely specimen for my collection of Japanese man hole photographs. 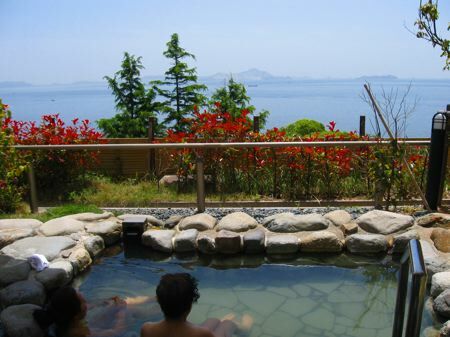 This on-sen had outside pools with a panoramic view of the huge bay that lies between Ako City and the Pacific Ocean. We relaxed in the pool for over an hour, sharing stories, laughing, or just floating and listening to our breathing. …and the beautifully restored buildings of the temple compound (this is the smaller hall where we’d had the second half of the service that morning), before we hopped into a taxi to the train station, and took a train to the airport. 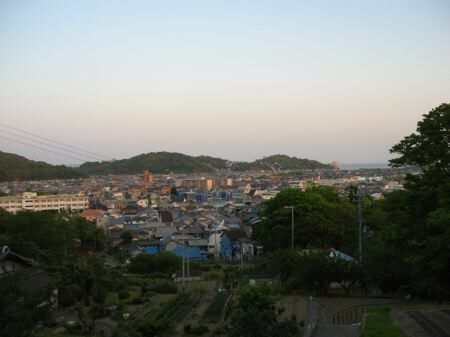 Sachiho flew back home to Naha City, Okinawa, where her sons awaited, and I flew back to Tokyo, where more adventures were about to begin.